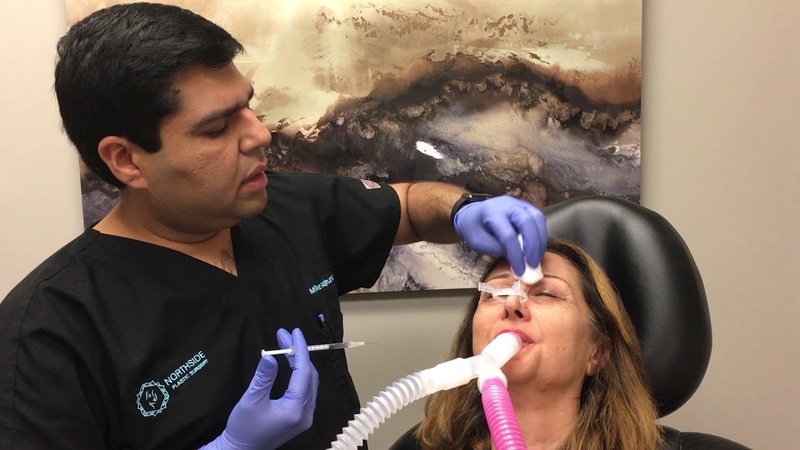 Dr. Mike Majmundar, double board certified facial plastic and reconstructive surgeon, offers Dysport® treatments to the residents of Atlanta, Sandy Springs and the surrounding communities in Georgia. Dysport® is a form of botulinum toxin that doctors have used in Europe for many years. In 2009, the FDA approved its use in the United States. Like Botox Cosmetic®, it is an injectable wrinkle relaxer that works well for forehead lines, lines between the brows, and lines around the eyes (crow’s feet). Extracted from the bacterium Clostridium botulinum, Dysport® helps both men and women to experience the benefits of a younger, more relaxed appearance. As with Botox Cosmetic®, it is directly injected into the muscles that cause facial wrinkles, temporarily immobilizing them. Recent studies demonstrate that Dysport may work better for crow’s feet around the eyes and possibly in the forehead area. Patients should try both products to determine which one works best for them. The treatment usually takes 10 to 15 minutes to administer. Side effects tend to be minor. You may have some mild redness and temporary swelling. A very small percentage of patients experience some bruising. Results may vary, but most people typically see improvement within three to five days.